Although I encourage the aspect of modeling, to give a seriously high value as rating feels kind of bad towards those which create a model from scratch or add new animations to an existing model. That's why I'll rate 3/10 for the effort (and the glasses). - Are they made from scratch? - Which programs (and version) did you use to create them (mesh and skins)? - What's the base of the mesh- and skin-file? Are you sure the whole model should be licensed like you only should throw name in some readme.txt? As the original mesh isn't licensed like that. I know it all sounds bitching around, but modeling is a way different sport than mapping (as that has save bounderies like included content to use). That's why be sure you can answer these questions before uploading it. It's a cool idea to give inky a new touch. "Hey salatiel! awesome idea to put a rocket launcher on inkys back, the sunglasses make him look awesome too!" Hi Suicizer, I'm just sharing something I made for fun, I'm not trying to sell the models or use them in another game, I think you could look with other eyes at this mod area (maybe with the eyes of a community trying to stay active). I decreased the number of vertices and created the texture (this includes the mask file), I did not find (in a readable way) the name of the original author included in the file that I downloaded from that site, and of course, that does not mean that the model is my own. 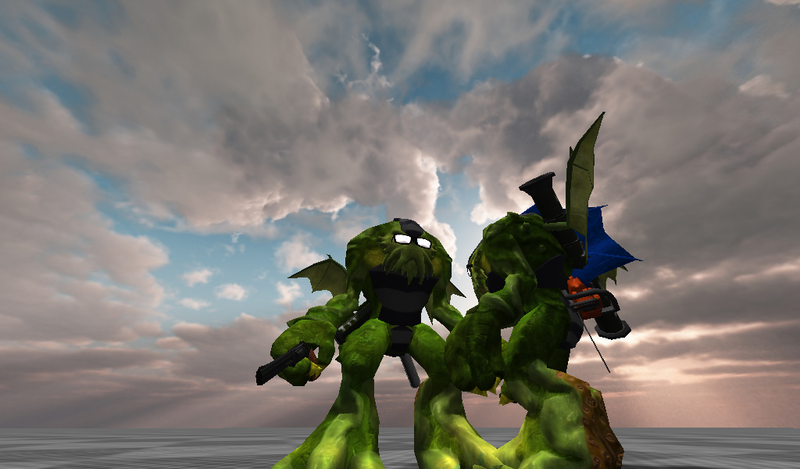 The monster model (we call it "inky") was taken from the Sauerbraten game (take a look here http://sauerbraten.org, it's a very interesting game, I think you could play it.) 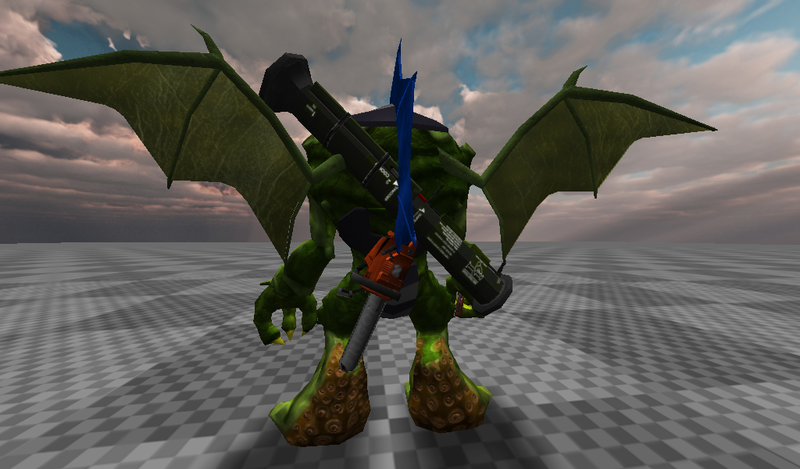 and this modification was made to be used in this game only (this post was made in the area of modifications of the game Cube 2 Sauerbraten as you can see). A list indicating which files have been modified is also available in a readable way. If I did something wrong by sharing a modification in the modifications topic, I'm sorry. Good job for clarifying that. Next time, put it in the directly in the node. I know the activity on Sauerbraten and Quadropolis is something to cry for, but that doesn't mean this place should be here to dump your content. Thanks for the tip, the sauer activity, compared to other cube games, it's not so bad. I do not know, maybe this is not the place for someone to post something, because we live on the "Suicizer's Dictatorship". In all those years reading your comments, I realized you're only looking for attention. If you have ideas to make Quadropolis great again, I'm all ears.